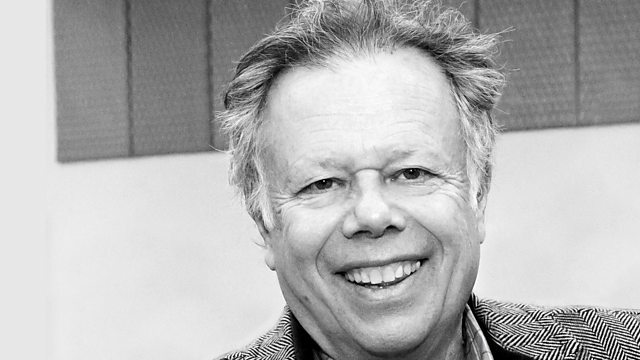 Michael Berkeley's guest is theatre critic John Lahr. He selects music from the show Elaine Stritch at Liberty, a song sung by his father, Bert, plus Theolonious Monk and Mozart. John Lahr talks to Michael Berkeley about his passion for the American Songbook, his award-winning biographies of Tennessee Williams and Joe Orton, and his father, the actor Bert Lahr, who was the Cowardly Lion in The Wizard of Oz. Described by the playwright Edward Albee as 'the greatest drama critic of my generation', John was for 22 years chief critic and profile writer for the New Yorker. Then, in 2002, John Lahr the drama critic became John Lahr the dramatist - and the first drama critic ever to win a Tony Award when he wrote actress Elaine Stritch's one-woman show, Elaine Stritch at Liberty. He chooses music from that show, a song sung by his father, a Theolonious Monk track which reminds him of his wife Connie Booth, and he ends with the joy of Mozart's Jupiter Symphony. Performer: Bert Lahr. Performer: Dolores Gray. Composer: Inez Foxx. Performer: Charlie Foxx. Performer: Inez Foxx. Orchestra: Vienna Philharmonic. Conductor: Leonard Bernstein.